This Friday’s selection from the book Around My French Table is a dish with a name that’s a little misleading. It’s called beggar’s linguine, which could lead you to believe that it’s so cheap to put together even beggars can do it. Well, sadly for me, the name isn’t referring to the wallet size of those likely to eat it. The “beggar” in the title is just a reference to a traditional, French confection, called a Mendiant (beggar). A Mendiant was a chocolate disc containing different dried fruits and nuts, each representing a different monastic order. Now, however, when the term mendiant is used to describe food, it just means it was prepared with fruit and nuts: cakes, ice cream, or, in this case, linguine. I wasn’t sure what to expect from a pasta dish that had dried fruit in it . It sounded like it would be sickening sweet. 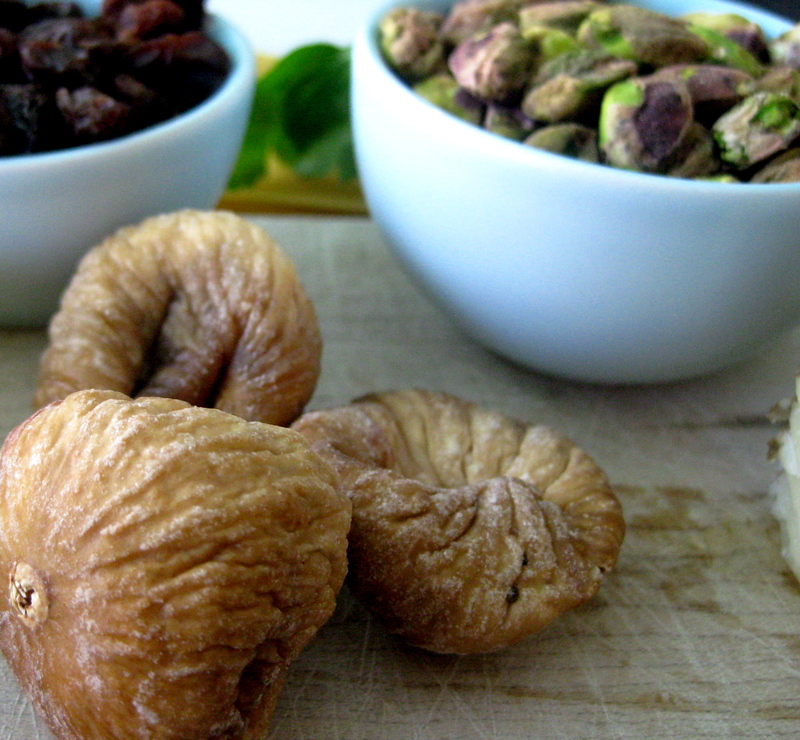 Dried figs? I was a little wary, and judging from what a lot of other FFWD cooks have said about their experiences, I wasn’t the only one. This situation, however, was exactly why I joined that little cooking project in the first place: to make the recipes I would usually skip over. To make myself experience new flavors, even if I didn’t think I’d like them. Well, happily, I was wrong and I think I can call it a true success. How could I have doubted that I would love anything that contains brown butter (that’s just butter cooked until brown, in case you are wondering)? And, you know, it wasn’t too sweet. In fact, thanks to the nuttiness of the butter and the grainy tang of the cheese, it was a great balance of salty and sweet. I should have known it would be: Dorie Greenspan just puts out great recipes. Two more good things about this dish: it’s done in about 30 minutes, making it ideal for a weeknight meal or a last minute dinner with friends, AND my kids liked it. I was showing the kids the figs that were in the dish and trying to tell them they are the same things that are inside fig newtons. That, apparently stuck in my son’s head because when he was telling me he liked it he said, “Especially, I like the pistachios, mom. And the fig newtons.” They kill me sometimes. You can se the full recipe over at Dorie Greenspan’s site here, or you can let me know you want the recipe by leaving me a note in the comments, and I’ll email it to you. Have a great weekend! Thanks so much! Good to hear from someone else that made it! Your son is adorable! You got the same figs I did and they did smell just like the cookies. Very nice! I love how kids piece things together in their head – it’s always (usually) a source of great amusement. I wish I could have found decent dried figs (I used to love Fig Newtons when I was a kid), but I thought this was rather wonderful! Kids are so cute :) I’m glad you all enjoyed it! I loved that this was a fast one to make, too! This dish totally had a cookie smell/cookie appeal to it. (Kids are always the truth tellers.) 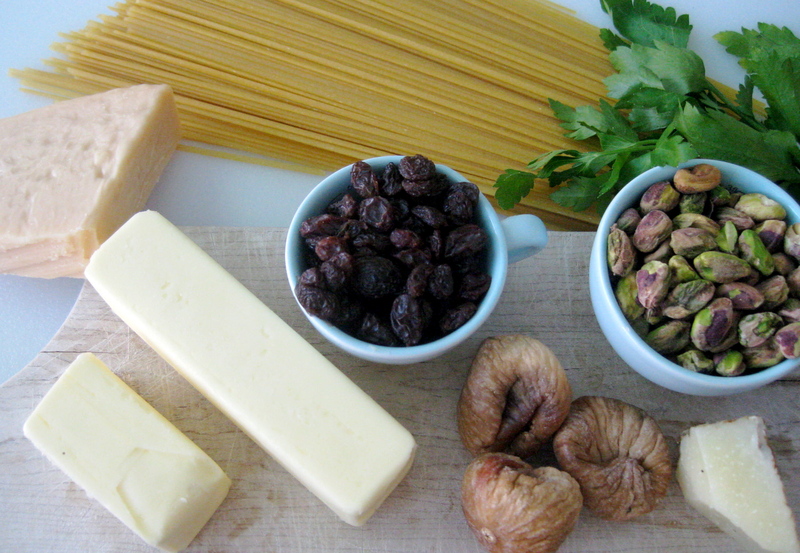 I love your pasta and fig photo! is it weird that i want to make a special request? can i do that? i made a carrot soup the other day that was borderline gross (recipe called for coconut milk which i think might have been too overpowering)- but i really still like the idea of carrot soup. i want to see you do one b/c i know yours will be better. what do ya say? you got carrots in the garden, right? debt repayment goals. Glad to hear from you. I skipped this dish because I knew that my girls would not have enjoyed it (I am working on getting them to overcome the aversion to fruits and nuts in savory dishes) and husband is allergic to most nuts and fruits. 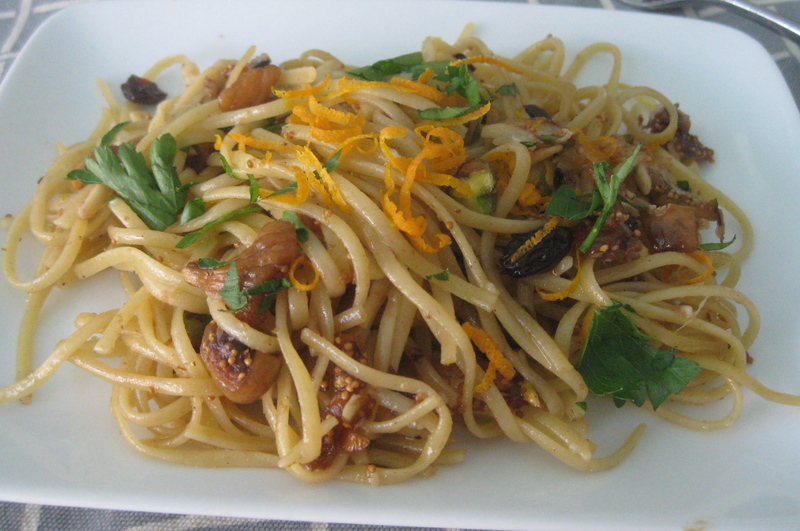 You are currently reading French Fridays: Beggar’s Linguine at Space & Thyme.